For the beginning baker, there are few things more inspiring than a beautifully decorated cake. If you want to wow everyone the next time you’re in charge of dessert, a well-constructed and decorated cake is the way to do it. Here are some helpful tips for frosting, piping, and simply decorating cake like a pro. Before you start decorating your cake, do a little bit of preparation. All of these small pre-decorating steps will make the process much easier. Once your cake is finished baking, let it cool completely. Decorating a warm cake is a fruitless process because the heat makes the frosting runny. Another way to get yourself off to a good start is to build a level cake. It will probably come out of the oven with a rounded top, but that’s not a problem. Use a bread knife to cut off the rounded top. Place your hand on top of the cake as you slice to keep the cake from moving while you cut. Once you’ve removed the rounded top, use a pastry brush to apply a light coating of simple syrup to the top. Simple syrup is easy to make: Boil equal parts water and sugar until the sugar is fully dissolved. The simple syrup coating is an important step because the decorating process can dry out your cake. This preparation will keep your cake moist. 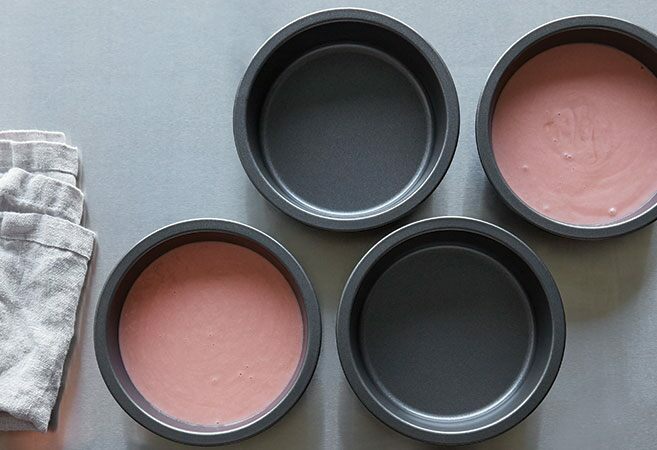 Get the Layered Cake Pan Set to make bakery-worthy cakes at home. Giving your cake a crumb coat is one of the quickest and easiest ways to make sure it turns out looking great. This is a base layer of frosting that seals the crumbs onto the cake so they’re not visible in the final product. 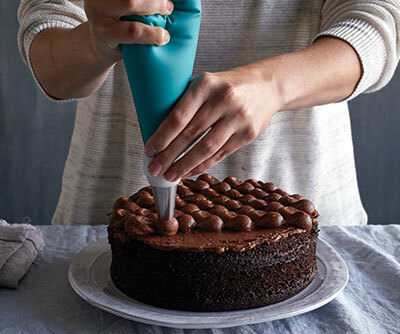 This step may seem a bit redundant, but it can make all the difference—crumby frosting isn’t particularly pretty, and this step will give your cake a smooth, finished-looking surface. If you’re making a multi-layer cake, you’ll need to do this for each layer. 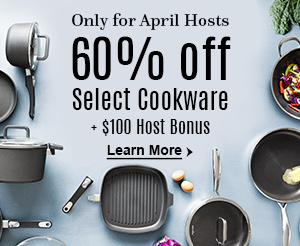 (If your cake is a single unit, you can go ahead and skip down to the next paragraph). Drop a generous portion of frosting onto the top of your first layer. Use a frosting spreader to evenly distribute it across: You should use enough frosting that you have a thick layer on top that oozes over the side a bit. Place your next layer and repeat until the cake is roughly constructed. Use your spreader to spread the excess frosting between the layers onto the side of the cake. Again, drop a generous amount of frosting onto the top of your cake and spread it evenly across. Fill in any gaps that appear as you coat the cake. If your layers start to get wobbly, or your frosting starts getting too runny, stick it in the fridge to cool for 10–20 minutes. This should firm up your frosting and make the whole thing easier to work with. Once you’ve evenly distributed your crumb coat, use a scraper to make the surface nice and smooth. Start by going around the cake, then leveling off the top—you may have to do this back and forth a few times before it’s really perfect. Once you have a smooth crumb coat, let the cake chill in the refrigerator for at least 30 minutes. After the cake has chilled, you can put on your final layer of frosting or fondant and, depending on how you’re decorating your cake, this is the layer you’ll show the world. Use your spreader and scraper to make sure it looks just right. Watch the entire process with Layer Cakes 101. All of the best cake decorations come down to your piping technique. Like any other form of art, this means you might need some practice. 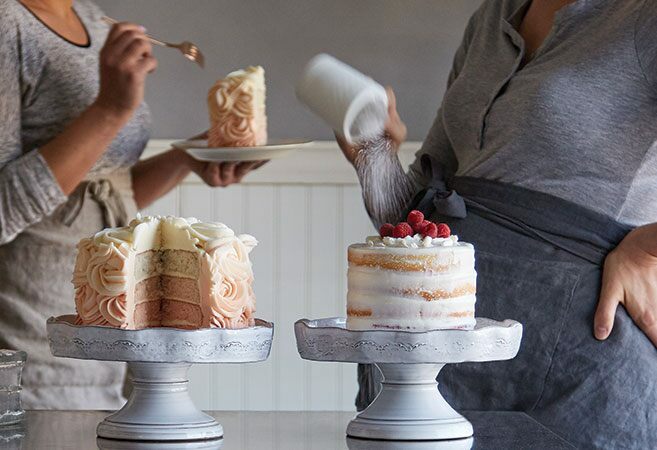 Go easy on yourself if it doesn’t look right the first few times—as you get more used to working with your piping tools, you’ll get better, and your cakes will look nicer. Seven different piping tips in the Pampered Chef Decorating Bag set will create different effects. The small writing tip is perfect for lines and writing. The large and small open star tips make adorable rosettes, and a flat tip is perfect if you’re creating a ribbon effect with your frosting. Practice creating lines and dots with different tips on wax paper to get a feel for how the end product will look. Finally, you don’t need to rely on frosting alone to make your cake look great. Sprinkles, candies, and fruits all make for perfect additions to the tops or sides of your cake. Experiment with different ideas. Want something fun and colorful for a birthday boy or girl? Coat the cake with his or her favorite rainbow cereal. Fresh fruit can be a simple way to make an utterly gorgeous cake. Evenly frost your cake, then top it with fresh berries. Strawberries, raspberries, blackberries, and blueberries all look (and taste) great together. You can place them on top in circles starting from the middle for an organized look, or you can have them scattered about for a casually pretty look. Once you have them placed the way you like, use your sugar shaker to gently dust the whole thing with powdered sugar. Berries are an elegant and tasty way to decorate your cake. No matter how you’re decorating your cake, remember that practice makes perfect. If you’re in charge of a cake for a special occasion, do at least one trial run beforehand. This will give you a chance to notice any hiccups along the way. The best part about cake rehearsals—if the cake looks off on the first try, it doesn’t really matter, and you get to eat cake!